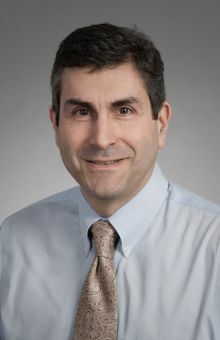 Dr. Marshall Horwitz is an internist and clinical medical geneticist whose research interests relate to genetic factors predisposing to hematopoietic malignancy and the clonal evolution of cancer. The major focus of his research centers on defining the genetic origins of cancers of the blood and using that as a paradigm for further understanding development. His laboratory employs genetic mapping and sequencing strategies to identify genes responsible for familial predisposition to leukemia, lymphoma, and bone marrow failure syndromes. His lab has successfully identified genes responsible for human cyclic neutropenia, canine cyclic neutropenia, severe congenital neutropenia (Kostmann syndrome), Hodgkin’s lymphoma, myelodysplasia and acute myeloid leukemia, and, recently, acute lymphocytic leukemia. In related work, Dr. Horwitz’s laboratory has developed a new approach for mapping cell fate during development by phylogenetically inferring the order in which mutations accumulate in somatic tissues. Dr. Horwitz directs the University of Washington School of Medicine Medical Scientist Training Program (MSTP) for concurrent M.D./Ph.D. students. He is Cancer Genetics Section Editor of the Public Library of Science journal PLOS Genetics and former chair of the NIH Genetics of Health and Disease study section. Among his honors, Dr. Horwitz is a recipient of the Presidential Early Career Award for Scientists and Engineers, received from the President at the White House in 2002, as well as the 2007 NIH Director’s Pioneer Award.